Very few people know and believe that physical exercise can stimulate not only body but mind as well. 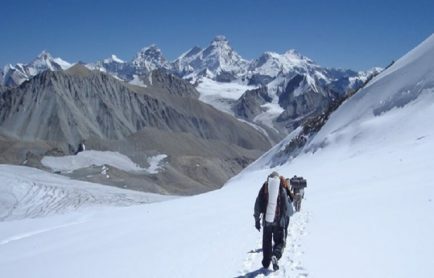 Beyond the normal places of human residence at sea level, there are places unknown to common people with no interest in the geography of the world as well as vacations spent in trekking. 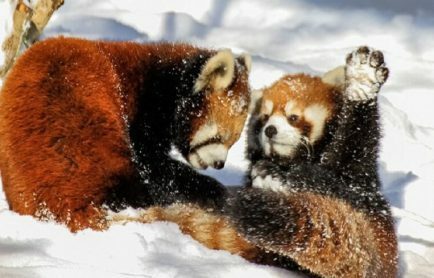 Sikkim is one of those places that are rich in natural scenic view and trekking opportunities for a loan traveler or a group of people (family/corporate). 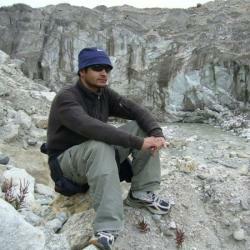 Trekking in Sikkim Himalayas has been lately released by enthusiasts with curious streak. 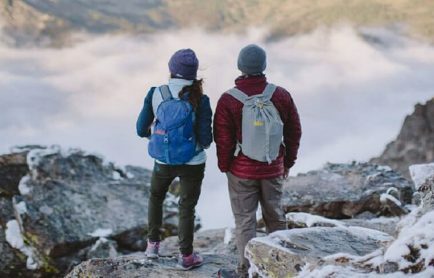 The following treks in Sikkim will make your memories of a lifetime that you will keep on revisiting, in reality or virtually. The trek we would be discussing is not at all easy but worth the time and efforts you will put in. Lens of the Cameras will be rewarded by spectacular views of the mountain peak taking away all the pain endured on one of the best treks in Sikkim. Starting with the city, Darjeeling is famous all over the world for its tea estates and the toy train but there is more to it if the flavor is enhanced by the trekking to Kanchenjunga. Obviously, the trip is not about climbing but just trekking. So, when you cross Tashiding after places with names like Uttarey, Chewabhanjang, Paharey Megu, Daphe Pass, Gomathang, Dzongri, Thangsing, Samity Lake, Goecha La, Lam Pokhari, Kasturi La, Kasturi Odar and Labdang, you know you have reached the place you wanted to. 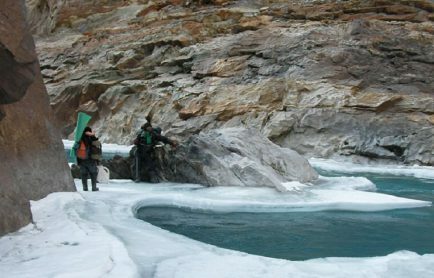 Just like the Zanskar Valley trek in Ladakh, many smaller trekking journeys could be aimed for the people strapped for time. The treks given below are mostly of the kind we are discussing. 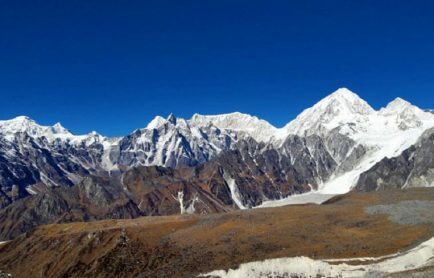 If you have heard about popular treks in Sikkim, you must surely be aware of Yuksom and Goecha La. 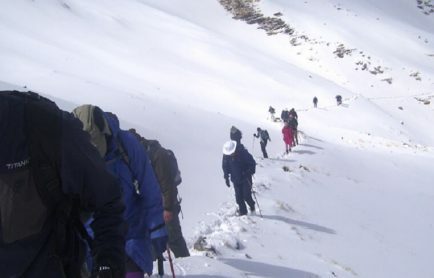 They make one of the easiest and the shortest trekking tour but with the caution of proper acclimatization (not of the kind needed while trekking in Ladakh) like all. 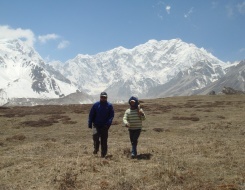 The Altitude to which the trekking is done is not too much, just 4990 m, but still enough to make you active. On the journey, Rattan Chi River will make a nice place of the photo shoot. Too bad, you cannot stay here for long. Enjoy views of Mt Pandim, Mt. Thingchinkhang and Mt. 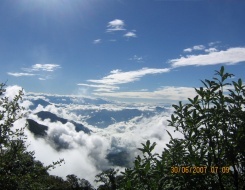 Jopuno from a height on the route to Goecha La that will include Yuksom, Bakhim, Dzongri, Thangsing and Simti Lake. This one is even smaller, as it is taken from the trek we talked about above. 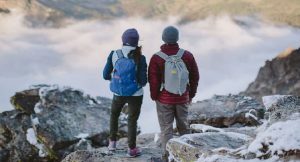 A cluster having individuals of mixed aged-groups, can take up the trek without worrying much about getting it completed, because it will, as a certainty. After having a nice time in Gangtok and its popular tourist sites, the pedestrian journey will be refreshing. Not the smaller versions of one bigger trek detailed earlier, this one is completely unique. As the name suggests, the trekker will cover many places en-route to reach the Green Lake. 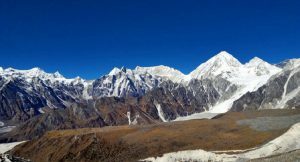 However, as with the trekking, the journey is more important than the destinations, those places will make it important that you make a note of their famed beauty just like the others in the trekking list of Sikkim Himalayas. The flowers, the landscape that holds them as a vase, view of Kanchenjunga, the trek that receives people when the weather allows and similar things will be a landmark. Before you reach the lake, you will cross Lachen, Jakthang, Yabuk and Siniolchu. 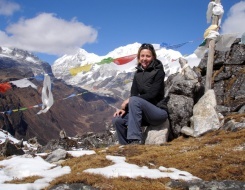 Be sure to acclimatize to make the best of this adventure else mountain sickness can prevent you from accomplishing it. Rhododendron, the word denotes a flower of dark pink that grows as bushes makes the scenery worth paying attention to. The excursion will surely include it and many other delicate Himalayan beauties, shaped up and fragranced as flowers of various colors and size. 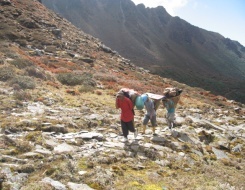 The trekking would include Barsey, Rabongla, Maenam, Borong, lachung and Yumthang. There could be other places also such as Uttarey Valley, Kalijhar, Phoktey, Deonin Gali Dhap finally reaching to Barsey, if the route is taken differently. 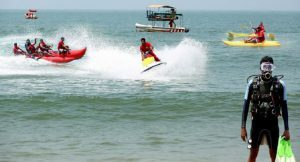 The attractions would include the Maenam and Barsay wildlife sanctuaries along with miles and miles of the bloomed Rhododendron. Choose what way you would go. 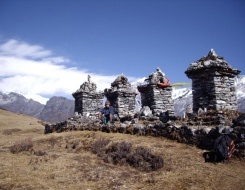 At the end, you will know, you have been to one of the best treks that are taken in Sikkim. Make your own way or be guided to the joy of Nature!